Dallas, TX, February 22, 2019 --(PR.com)-- AloeVeritas announced a new addition to their executive leadership team, Rosa Battle has been appointed the new President. This is an exciting time for the young skincare, health and wellness company and there is no better person to lead them to greatness than Rosa Battle. 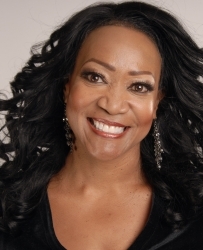 Ms. Battle brings 25 Years of experience in the Direct Sales Industry, she is an author, motivational speaker, trainer and multi-level marketing visionary with a proven track record of execution. She is a strong communicator with a devotion for practical solutions to unique challenges. As a recognized leader in the Direct Sales Industry, Ms. Battle has reached the top executive position in two top companies in the space. Rosa’s passion for helping people is apparent and she will continue to make that a priority at Aloe Veritas. Ms. Battle is a native of Dallas, TX. She completed her undergraduate studies at the University of North Texas, and Graduate Studies at Northwood University, both in Business & Marketing. Her professional career started in the Pharmaceutical Industry working with 2 of the top Pharmaceutical companies in the world. Over the last 3 years she has focused on building her marketing firms, where she has helped several startup companies create their brand and get their companies up and running. With a true understanding of health and wellness, it is a comfortable position that Battle finds herself with AloeVeritas. AloeVeritas is a global skincare, health and wellness company that first launched in Europe and now has plans for entry in other markets worldwide. All AloeVeritas products are certified natural and contain the therapeutic benefits of pure, natural aloe that promote a healthier you. Following a successful launch in Europe where month-over-month growth exceeded 150%, AloeVeritas will soon bring a holistic plan for wellness to the United States. The hiring of Ms. Battle to run AloeVeritas, couldn’t be better planned. As the official pre-launch is scheduled for January 16, 2019. Battle along with the founders of Aloe Veritas will share their vision of a new Network Marketing future, based on some basic concepts: Natural. Honest. Fair. Their mission, vision and products are entering an industry that has long sought a better way and a better Company. The AloeVeritas mission has already created a culture that sets them apart. With the addition of Rosa Battle the mission will continue, her philosophy is, making each day better than the day before, living each day like a daycation, and helping as many people as possible to live a life that most just dream of.